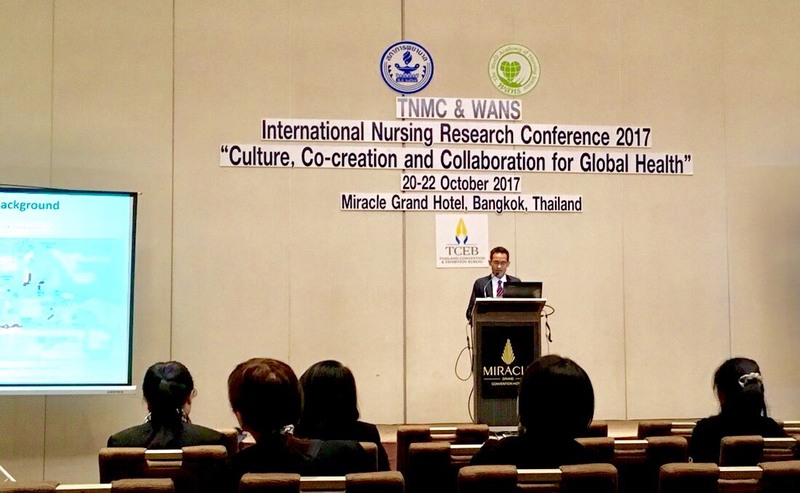 The Thailand Nursing and Midwifery Council (TNMC) and World Academy of Nursing Science (WANS) organized the International Nursing Research Conference 2017 on “Culture, Co-creation and Collaboration” October 20-22, 2017. The conference was held at The Miracle Grand Convention Hotel, Bangkok, Thailand. The purpose of the three-day conference was to bring together researchers and practitioners from around the world who are interested in all aspects of global health and nursing innovations. The programs in the TNMC and WANS 2017 were not only keynotes, panels, specials issues, symposiums, and exhibitions, but also oral and poster presentation sessions. The DNGL students belonging to University of Kochi, Mr. Kosuke Sasaki (a second grade student) and Mr. Hastoro Dwinantoaji (a third grade student) participated and presented their studies in the poster and oral presentation. Mr. Kosuke Sasaki presented his study entitled “Literature Review on the Roles of Disaster Medical Assistance Team Nurses” in a poster presentation. In addition, Mr. Hastoro Dwinantoaji presented his field research entitled “Male Involvement in Sexually Transmitted Infections (STIs) Prevention After the 2010 Merapi Eruption in Indonesia” in an oral presentation. In this conference, we learned about the current situations and trends of nursing not only related to disaster nursing but also global health. In the oral presentation session, I was able to exchange and share the experiences as well as research results on the aspects of global health and policy in order to develop further my research plan into the next step. I could absorb new knowledge in particular about global health issues and policies, and a wide variety of information in an effective manner. 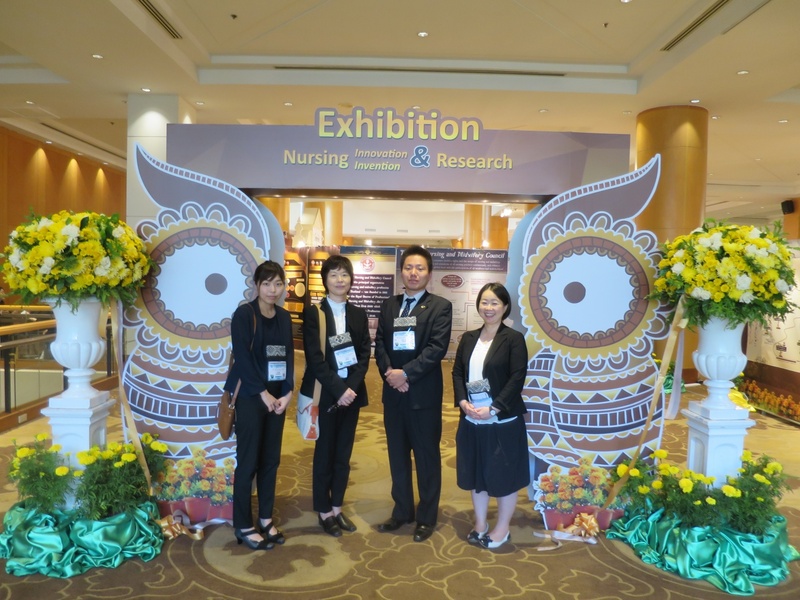 This international nursing research conference was good opportunity to bring together leading academic scientists, practitioners, researchers, and students from diverse academic and clinical settings, and also to continue networking and partnerships in nursing research in global health. In conclusion, as the disaster nursing global leader, it is necessary to broaden knowledge, share opinion and discuss, and make networking with other disciplines in global perspectives.